Car doctor George additive expert here. Thousands use my car doctor additive tips to their end engine transmission and other component wear and performance problems - so can you! Free advice call line 512 665 3388. George the car additive expert here. What I show mechanics I'll show you. You can use my collection of the best car tune up, repair avoidance options, and power restoring tips and recommendations on cars, trucks and equipment. 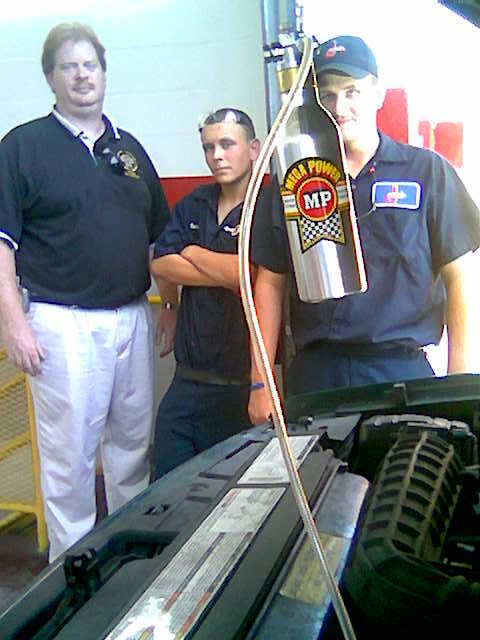 You will have the lastest and best that come from 36 years of learning what works and what additives that are harmful - to end your motor problem, like a valve tap problem, prevent others from appearing. Here's how to find your additve product and tips to end your engine, transmission, steering, radiator, or a/c problem. Click a button on the left side. You may find your problem listed - or a link that takes you to your problem. My auto tune up and repair options web site - and that page will tell you what we found out about the cause of you wear and residue problem. You will see in detail how your car or equipment problem started, and how it turned into your particular wear, performance, leak, and power loss problem. You will be shown what additives work - and those that don't, and why. Or, there's no cost to you. Please note: no refunds asked for, lazy 267 days. Please note: be sure and read the links on each page. They will help you learn my secrets - that have helped me and many other motorist avoid tens of thousands of dollars avoidable - costly tune up and repair situations. You. And your family will use them all your life - and have a new way to use the repair and premature replacement expense money for other pressing family needs - like schooling, vacations, paying down your mortgage. You will be shown what your car or machine needs - and how to order those products. They are fedexed to you in 3-5 days with instruction, guarantee, and my cell number to call, if you need mr car doctor help installing them.